I thought I would bring you another example using the January Stamp of the Month, Little Reminder. 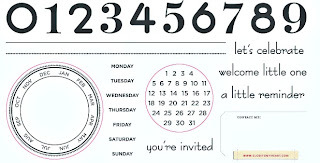 Don't you love the easy way you can make an invitation from this set? 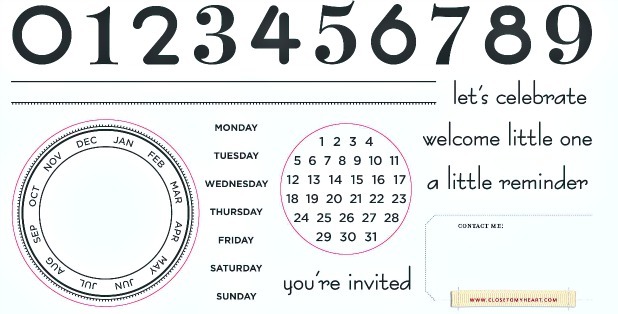 That little background circular calendar is one of my favorite stamps in the set. If you click on the photo and look at it in more detail, you will see that I have a white daisy line of stitching above the ribbon. That's another little treat with this set - two long stamps that mimic stitiching. Perfect for people like me that don't sew! With your $50 order, you can get this set for just $5.00!